The situation is extremely critical. The Ukrainian people are freezing. In the cities of Cherkasky, Hmelnickiy, Herson, and Kharkov the authorities have been forced to declare emergencies. People all over Ukraine have gone to the streets to protest the inhuman conditions. The civil movement called the Organization of Ukrainian Mothers has called for nationwide protests. Its leader, Natalia Korolevskaya has announced that they will protest in front of the Parliament building and other government installations. Most of the protesting mothers have carried signs claiming that not starvation, in Ukrainian golodomor, but the threat of freezing to death, in Ukrainian holodomor will kill their children. In fact, Ukraine is frozen both literally as well as figuratively speaking. Because of serial non-payments for Russian gas, Gazprom has stopped deliveries. 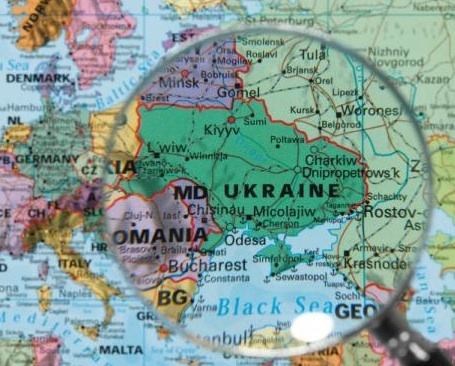 Simultaneously, Ukraine cancelled the bilateral agreement on gas deliveries. More importantly, since its independence on August 24, 1991, Ukraine has failed spectacularly to build a politically stable and economically prosperous state. Its politicians have used their anti-Russian rhetoric to build up their individual fiefdoms and in many cases their criminal organizations. Simultaneously, they have abused Ukrainian nationalism to suppress the sizable ethnic Russian community, allegedly as a payback for the Russian oppression prior to the country’s independence. Internationally, the situation has not been better. Gone are the times when the United States and the member states of the European Union have hoped that Ukraine could easily be integrated into the western part of the continent. As a result, relations with the West have been frozen too, especially since what the Ukrainians define as the revolution, while Russia considers a coup d’etat against the legitimately elected president in February 2014. The violent removal of then President Viktor Yanukovych has resulted in the loss of the Crimea and the protracted uprising of the ethnic Russian population in the eastern part of the country. Today, Ukraine is hopelessly suspended between the European Union and the Russian Federation. In reality, Ukraine exists in a vacuum of its own making. No wonder that Ukrainian politicians from President Petro Poroshenko down sense the rising discontent across the country. The upcoming presidential elections, scheduled to take place on March 31, 2019, do not have a favorite. The leading candidate, Yulia Tymoshenko, enjoys only 13% support among the voters. The current President, Petro Poroshenko, does even worse. Only a mere 6% of the voters would re-elect him. In comparison, a clown claiming to seriously considering a run for the presidency would garner 9% of the votes. Clearly, an all encompassing malaise has descended upon the frozen Ukraine. A major contributing factor to this malaise is the politically induced destruction of the centuries old unity of the Pravoslav Church and the subsequent establishment of a separate Ukrainian Pravoslav Church, independent of the Moscow Patriarchate. This unequivocally Russophobe move by the Ukrainian nationalists has not played well in Russia and in Ukraine, where the mostly rural population have had difficulties to reconcile their ingrained religious culture with the new Church, which has been firmly rejected by the Patriarch of Constantinople. Adding insult to injury, historically, religious civil wars within churches, especially the Pravoslav one, never lead to positive results. Most recently, the Rada, the Ukrainian Parliament, has declared martial law to begin on Wednesday, November 28, 2018, and last for thirty days, after Russian navy ships rammed and opened fire on three Ukrainian military vessels attempting to cross the Kerch Strait last Sunday between the Sea of Azov and the Black Sea. The Kerch Strait connects the two Seas and separates Crimea from the Russian mainland. As it has become the rule in these cases between the two countries, there are two versions of the event. According to the Russian version, the Ukrainian vessels failed to notify the Russian authorities of their intent to cross the Kerch Strait as required, and even denied having that intent on the night before. Pursuant to the Ukrainian version, the three Ukrainian vessels were sailing between two Ukrainian ports: from Odessa in the Black Sea to Mariupol in the Azov Sea. Kiev claims that it notified Moscow in advance that its naval ships will be sailing through the area. Furthermore, Ukraine states that under a 2003 treaty, there is freedom of navigation in the Kerch Strait. The Russian counter argument is that the Ukrainian vessels violated the detailed technical rules on how ships should pass through the narrow and complex waterway. Moreover, the Russian Security Service (FSB) says that the Ukrainian vessels ignored “legal demands to stop” and performed “dangerous maneuvers.” After a short firefight, the three vessels were seized and towed to the Crimean port of Kerch. The Ukrainian sailors remain in Russian custody. The martial law declared by the Ukrainian Parliament comprises of three elements. First, martial law is only declared in the counties bordering on Russia and Moldova. Second, there are twelve implementing points that have not yet been fully published. Third, presidential elections cannot be delayed. They must be held as scheduled on March 31, 2018. All member states of NATO have voiced their support for Ukraine against the Russian aggression. The Security Council of the United Nations held a session on Monday. As expected, the Security Council’s session did not end in a vote, because of the expected veto of the Russian Federation. Presently, relative calm has returned. Moscow maintains that Petro Poroshenko and his allies have intentionally created a crisis situation, in order to postpone the upcoming presidential elections. Of course, the accused deny Moscow’s assertion. Regardless of the veracity of Moscow’s assertion, the clear loser of the Sunday incident is Ukraine and its government. As far as the United States of America is concerned, it could not and should not overlook the extremely bad domestic situation in Ukraine. In addition, the President and his advisors must be very suspicious of any attempt at diverting attention from Ukraine’s grave political problems. Although Moscow might never acquiesce in the loss of Ukraine, direct military aggression is highly unlikely. What is required is a two-pronged approach. Moscow must be informed that the United States of America expects the Russian Federation to strictly adhere to the Minsk Protocol of February 11, 2015. The same must be applied to Ukraine too. On the other hand, Kiev must be told that Ukrainian politicians shall clean up their acts: counter extremism, end corruption, and put the country’s finances and economy in order. Unless Ukraine will be governed honestly and decently, membership in NATO and the European Union should absolutely remain out of question.